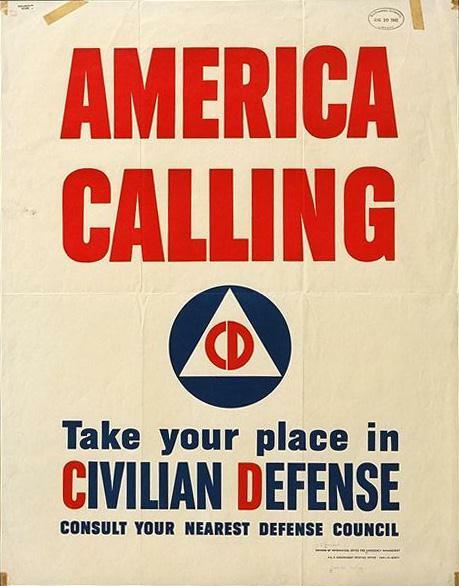 civil defense « the american civil defense assn. The National Facility Survey, done in the 1960s, reveals a valuable history of fallout shelters. President Kennedy was a strong advocate of a national shelter program, much like Switzerland’s shelter program is today. His shelter program was modeled after the Swiss system. He had planned to unveil the program during his trip to Dallas. He was distracted by a murder’s bullet. Lyndon B. Johnson cancelled our civil defense shelter program, which would have built blast-hardened shelters in the nation’s densely populated cities. Less rigorous fallout shelters would have been constructed for rural areas. Later, an effort was made by the U.S. Government to survey large buildings with multiple stories employing masonry construction to find areas in them that would provide a minimum level of protection that would give occupants a fighting chance of surviving the fallout effects from a nuclear attack. A national grain reserve was established in rural areas that would provide enough food to feed the population for seven years (80 percent of grain is fed to meat-producing animals in peace time, but most of these would be slaughtered immediately, retaining only breading stock to replenish herds during recovery). This frees up millions of tons of grain for human use. We no longer maintain such a reserve, while Russia still maintains a four year supply. We are now on a Just-In-Time system. The established protection criteria was a protection factor of 40 (or PF 40). Formulas for determining this level were devised, and survey teams went out and identified hospitals, municipal buildings, high rises, etc. that had the right features. The idea was to house as many Americans as possible in hastily organized shelters, stocking them with water, crude rations, and chemical toilets. The critical need for shelter occurs in the first two to three days, assuming the attack commencement and conclusion occurs within a few hours. In the early years of the 1960s, most weapons would be delivered via aircraft…so we had maybe 14 to 20 hours of preparations before an attack would arrive. Evacuation plans were developed to move as many people outside of large cities. Counterforce weapons and strategies were not developed yet, so cities were assumed to be the primary targets, other than obvious enemy airfields. The age of the ICBM changed all of that. Americans today would have no warning….the concept of a suit on TV telling Americans that an attack was imminent is fantasy. Flight time of a submarine-launched ballistic missile, fired from 200 miles off-shore at Washington DC, programmed for a depressed flight trajectory, would arrive on target in about 3 1/2 minutes. It is highly unlikely that the U.S. could detect the launch, plot its intended target, pick up the phones and warn the White House Situation Room, and get the POTUS to the bunker entrance in time. The National Command Authority would likely be wiped out, with any surviving members, unable to determine who was in charge (communications would be vastly suppressed from the concurrent EMP laydown) before most of the U.S. nuclear deterrent was reduced to smoking rubble. The old fallout shelters had NO ventilation systems, no sanitation systems, other than the 15 gallon steel drum toilet kits stocked there. No blast doors, or blast valves on ventilation pipes to protect occupants from direct weapons effects (heat, blast, debris, fire). This joke of a system gave ammunition to the anti-civil defense lobby. Indeed, these “shelters” were a joke. A PF 40 is BARELY adequate protection, assuming your area was not heavily hit by fallout. Virtually everyone inside would probably get sick…but most would not die. 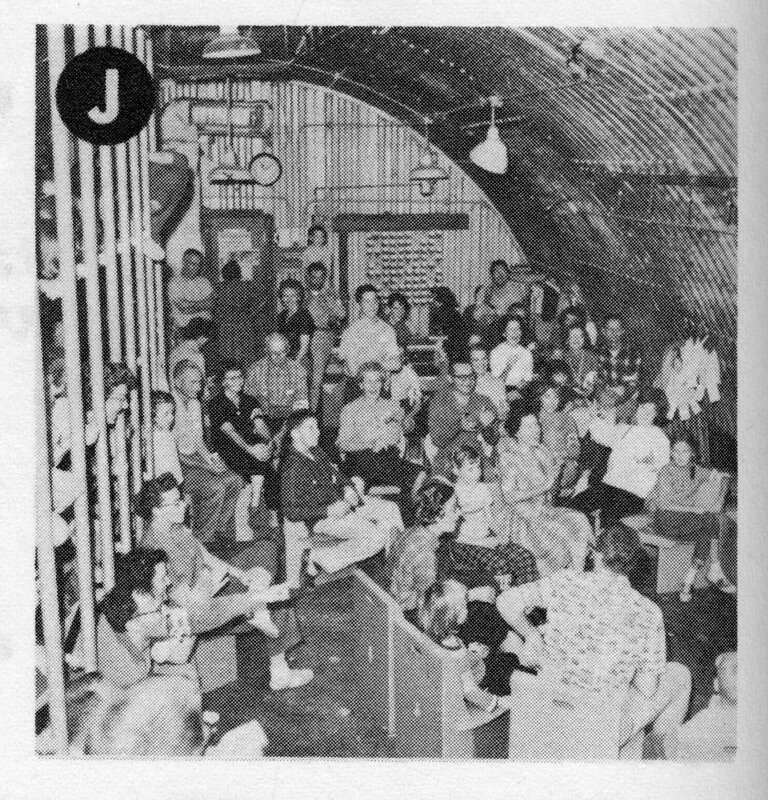 Of course, the president and other officials were to be housed in hardened bunkers, designed for high overpressures. We know how to protect people from WMD, we just don’t do it for the taxpayer. Switzerland, Sweden, Norway, Finland, Singapore, Yugoslavia, Czech Republic, South Korea, Russia, China, Israel, and lately, Qatar, Saudi Arabia, UAE, and others have initiated shelter programs to some degree or other. Switzerland remains the only country where 120 percent of the entire population, not just government officials, have blast-hardened, nuclear, biological, chemical shelters. They are required by Federal building codes for any area intended for human habitation. Homes, hospitals, schools, churches and temples, apartment buildings, stores, shops, manufacturing facilities, theaters, etc…..they all have them under the building, or a separate one nearby. I toured many of them in 1999, taking lots of pics and video. Everywhere we went, we’d ask to see their shelters. After an odd look, we’d explain that we were Americans and that we didn’t have any shelters in our country….and we would like to see theirs. All showed them upon request. At a school in a small village, we found the school shelter under a field house and track. So happens, they were conducting their semi-annual war game drills, and cleaning/maintenance routine. Pharmaceuticals were replaced with new ones, the six month old inventory was rotated to retail stores. Diesel fuel for the generators were tested. Kitchens exercised. A clean-cut male teenager asked us in perfect English is we’d like to go inside. Of course, we said “Yes!” A few minutes later, he returned with a seasoned man, white hair, in a pale blue uniform. He was the officer in charge of that shelter. He graciously gave us an hour and a half tour, through the infirmary, medical bays containing 36 patient beds each, and general housing areas for healthy citizens (bed capacity: 250, personnel capacity: 750). They hot bunk…just like the navy. You get a bunk for every three people. Each had a pillow, exactly placed, as with a ruler. Fresh water reservoir, flush toilets, showers for hygiene and decontamination. Ten kilowatt diesel generator in a separate area, sealed off with a concrete blast door. NBC filtration units, all capable of being operated by six volunteers, on 15 minute shifts. With 750 people, they’ll have no trouble finding volunteers. Ceiling thickness, was one meter of steel reinforced concrete, and a meter of earth (the soccer field). Fallout protection factor: Over one million. [Remember the U.S. spec? PF40?] Most residential shelters had protection factors of around PF5,000. In WWII Germany, there was not a single fatality inside government-built “bombproof”, shelters constructed featuring four foot thick walls and ceilings. Germany has a high water table in many areas, so they build bombproofs up to four stories high. Many were struck with direct hits from 500 lb and 1,000 lb bombs, yet no one inside suffered injury. I doubt that an American city hall building would fare so well. In the Hamburg firestorm raid, 45,000 civilians perished in the fires…mostly exposed in the streets, trapped in hasty basement shelters, or crude trench shelters. None of the 240,000 inhabitants that were sheltered inside bombproofs were injured. Indeed, some had to step in the puddles of melted fat left from people who arrived at the shelters too late when they emerged the next morning. The old fallout shelters were cleaned out during the Carter Administration, the biscuits fed to the hogs in Nebraska. Some survive with collectors, and biscuits were tested at Brigham Young University and found to still be viable. I have a CD chemical toilet, mostly for memorabilia. We have modern chemical toilets in our shelters. The Clinton Administration destroyed $200 million worth of the Victoreen fallout meters that still remained in the hands of state authorities. We rescued about 1,000 of them from Arizona. Many still work. I would agree that a shelter stay in the old public fallout shelters would be a real trial. The protection value was not very good, and conditions inside would be awful. But the German shelters were occupied at six times their rated capacity….occupants were packed inside like Japanese commuter trains. They slept all night standing up….one couldn’t fall down. Air was very bad, despite ventilation systems…they were overcrowded. But they lived another day. As we now have a nuclear stockpile that the DOE refuses to certify as safe and reliable, and being that we can no longer manufacture new warheads to replace the long-obsolete (expired) warheads, I wonder how long we will continue to ignore the growing nuclear threat from abroad. Putin is building several new classes of nuclear subs, and new road-mobile, hard target capable ICBMs…..like this one. (http://www.globalsecurity.org/wmd/world/russia/rs-24.htm) The older, hard target killers like the SS-18 are getting upgrades to keep them in service for another decade, oddly, by the Ukrainians that manufactured them. Though and old liquid-fueled rocket, the SS-18 has never experienced a launch failure. A far better record than the Minuteman or Titan. In our current state of vulnerability, it is important to realize that if the worst should happen, we are all on our own. No help is coming, no one is going to rope down from an orange Coast Guard chopper to save us. In the end, you are either ready, or you are not. By Eugene P. Wigner – (Nov. 1902 – Jan. 1995) Renowned physicist and civil defense analyst. Won the Nobel Prize in physics in 1963. I have often tried to explain the need for a vigorous civil defense effort, why and how such an effort would go far in preserving peace and how it could save many millions of lives if war should come nevertheless. “Why Civil Defense?” would be an apt title for this subject because we want the civil defense effort to be strong and vigorous. But my subject is also the opposite: “Why No Civil Defense?”. What are the roadblocks? Why isn’t the civil defense effort as strong and effective as we would like it to be? Why is there not a popular demand for it? There are, it seems to me, three principal reasons for this . There are, of course, those who would like to see our country become a second or third-rate power, the nakedness and vulnerability of its people forcing its government to accede to the demands of those governments whose people are better protected or who care less for human life . Persons who have these desires are, however, small in number, and they contribute but very little to the undeniably very great strength of the anti-civil defense establishment. Can this establishment muster valid arguments against civil defense? I think it can, and this is the reason for citing this cause for our lagging civil defense efforts as the first of my “principal reasons”. The third reason that we do not take civil defense very seriously is that we are all too conceited. Sure, other people have been stricken by disasters, other nations have been wiped out or subjugated. But this cannot happen to us, we say. It is not even decent to think about it . I once went to see the now deceased Albert Thomas, who prevented a good deal of civil defense legislation from being enacted in the House of Representatives. He listened to me for a few minutes and then said: “Take it easy, young man, take it easy. This country is so strong it does not need any civil defense.” Most of us would express this self-defeating doctrine less clearly and less bluntly than did Mr. Thomas. But what he said is present in the minds of all of us. On a peaceful day like today, when we are absorbed by so many more pleasant thoughts, is it not unreasonable to think about some country attacking us with nuclear weapons?